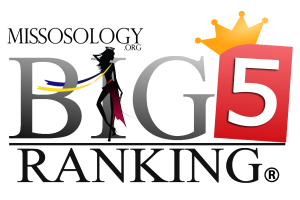 What sets Big5 pageants – Miss World, Miss Universe, Miss International, Miss Earth and Miss Supranational – apart from minor pageants is their ability to grab the headlines. When Karen Ibasco was crowned as Miss Earth 2017, almost all of newspapers in the Philippines splashed their headlines with her victory. 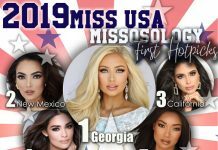 This is hardly surprising since the Philippines is a pageant crazy nation. 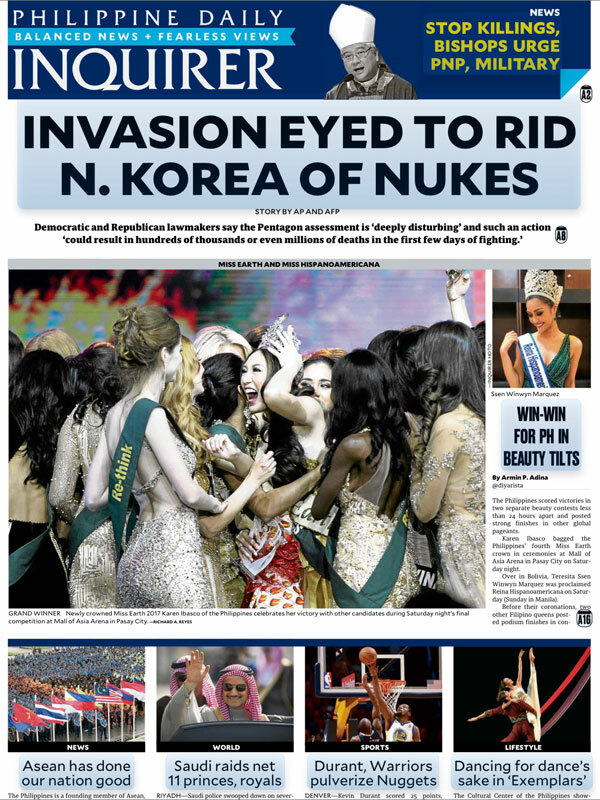 The popular daily called Philippine Daily Inquirer even gave some space – albeit relatively smaller – for Miss Hispanoamerica pageant. 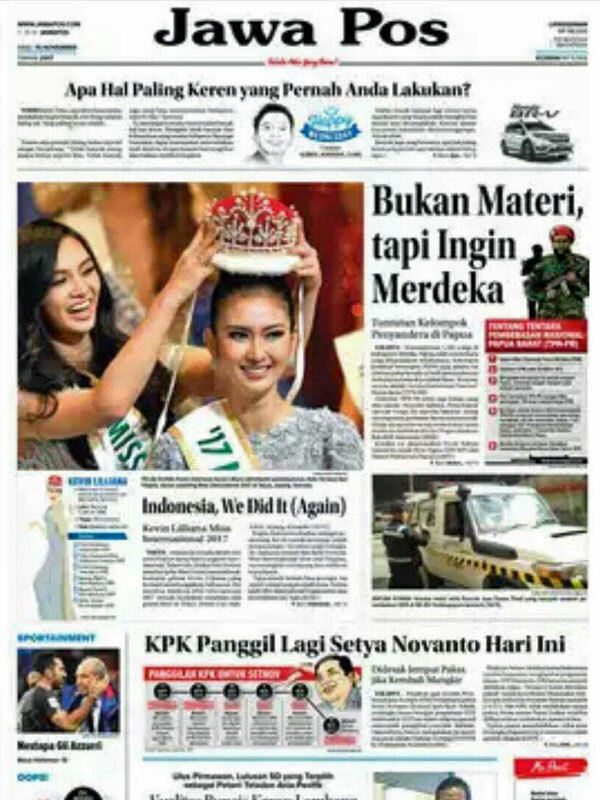 The Indonesian press is equally ecstatic with their first-ever major international crown. Kevin Liliana was on the headlines of the popular newspaper Jawa Pos. Indonesia has been catching that pageant fever lately with Indonesians beginning to appreciate major pageants with the same fervor as their northerly neighbor. India, after years of dormancy, exploded with celebrations when they won their Miss World crown after 17 years of waiting. 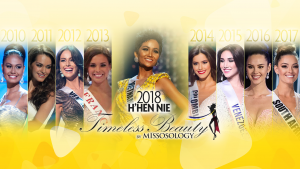 It was really a source of pride now that the country is tied with Venezuela in terms of number of crowns won at the pageant. 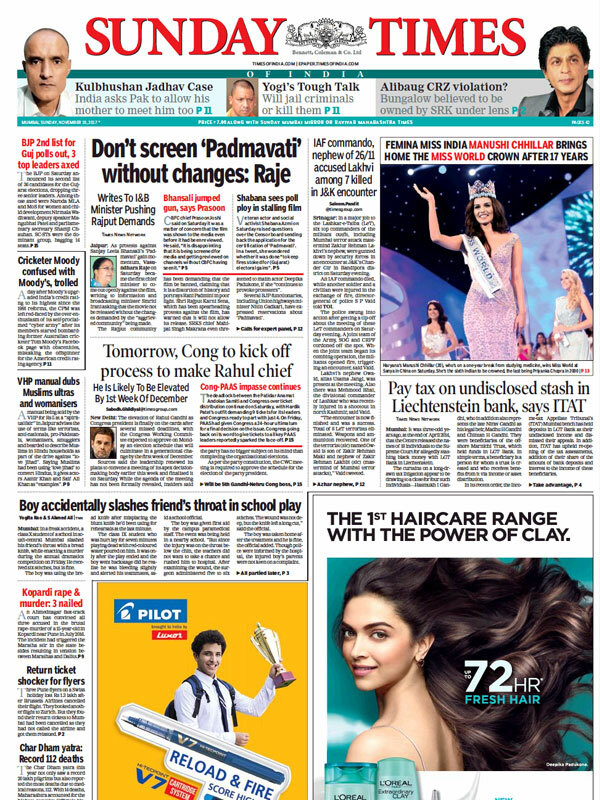 Manushi Chhillar has earned praises from the bigwigs in the Indian entertainment sector as well as from the political community. No wonder her crowning was on the headlines of the Times of India. South Africa also celebrated its second Miss Universe crown after decades of waiting and Demi-Leigh Nel-Peters was also in the headlines. This is especially true with newspapers in her native Western Cape province. 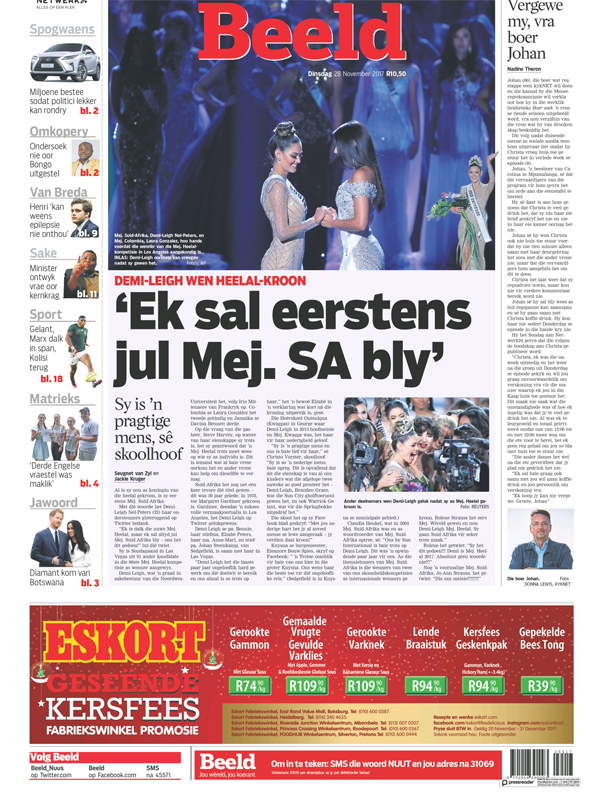 The Afrikaans newspaper Beeld gave Demi-Leigh at least half of its front page. South Korea meanwhile is pretty much pre-occupied with larger problems and concerns. The threat of North Korea and political stories including Soccer World Cup updates dominated the country’s top newspaper headlines. 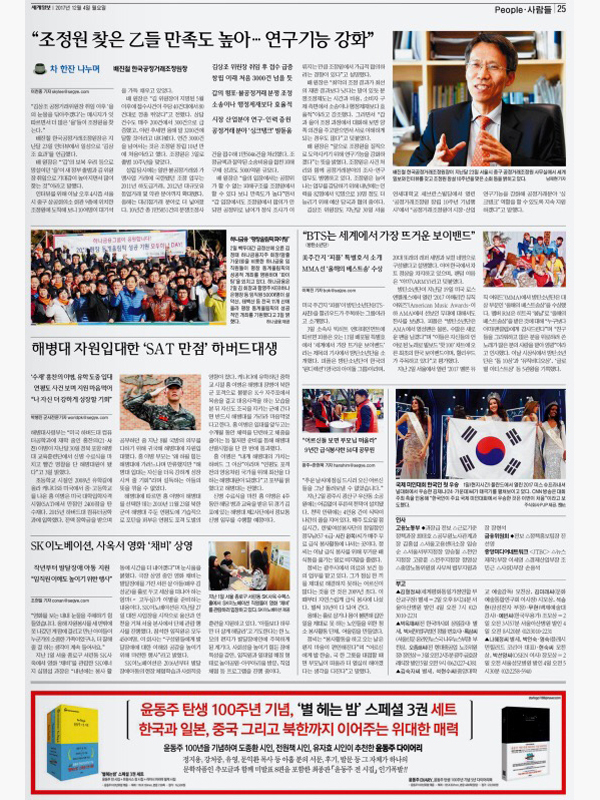 Still, Segye Ilbo, one of the ubiquitous papers in your regular Seoul convenience store gave the victory of Jenny Chen at Miss Supranational some space in its pages. It seems that the major newspapers largely ignored this very good news and the Korean public were not that enthusiastic but anyway, Jenny Chen made it to the news anyhow.